New! The official “Ancient Hunter” tartan. Not to be confused with our “Hunting” plaid, this is the official ancient version of the Hunter clan tartan. Featuring thick blue and black stripes, with orange, black, and white pinstripes on a unique green background. The Hunter clan motto is “Cursum perficio” which means “I accomplish the hunt”. This is a great kilt to own. There are a lot of clans that traditionally wore this kilt including my own so its great to show off my clan in this kilt. Its comfortable and fun to wear plus a great conversational starter with the ladies. 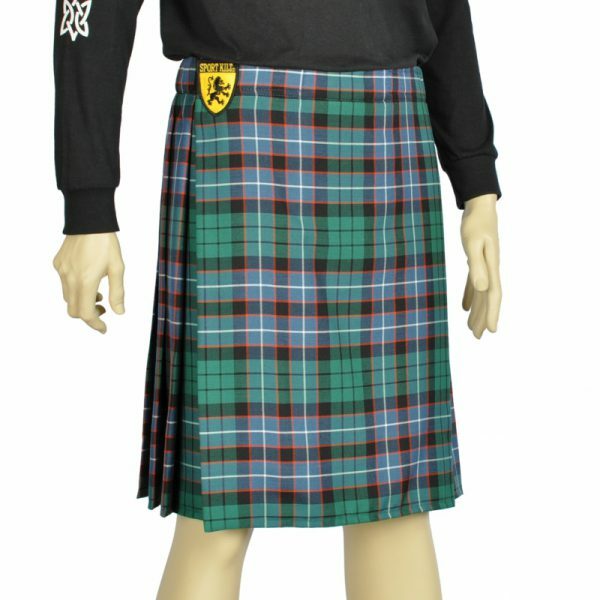 I highly recommend this kilt!